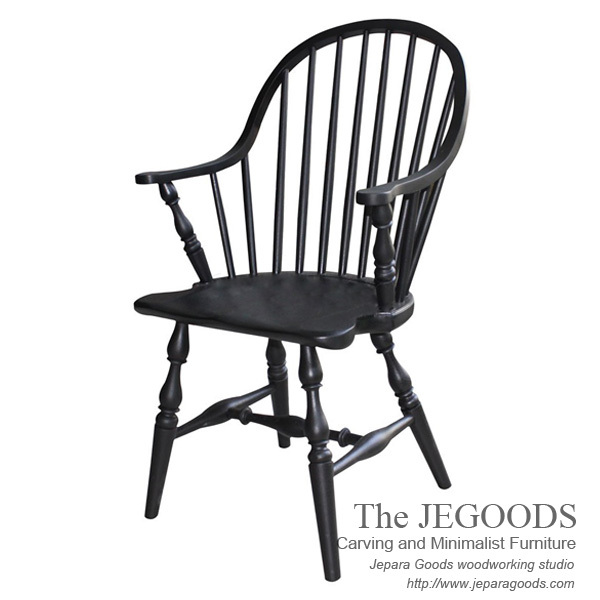 Windsor arm chair is one of a historical chair styles that made in the 18th century. Built with a solid wooden seat into which the chair-back and legs are round-tenoned, or pushed into drilled holes, in contrast to standard chairs, where the back legs and the uprights of the back are continuous. The seat of Windsor chair is often carved into a shallow dish or saddle shape for comfort.